The Blue Walk walking tour vacations bring you to some of Southern Europe’s most beautiful destinations. Our small group walking tours are leisurely paced so you can experience where your feet are. No need to spend your time stressing about an overly packed itinerary. Don’t fear having to put in a minimum number of miles. You’re on vacation! Enjoy the open sky, walk along tranquil bodies of water, and share lots of good times. Traveling solo? You are welcome with us, and our single supplements are modestly priced. 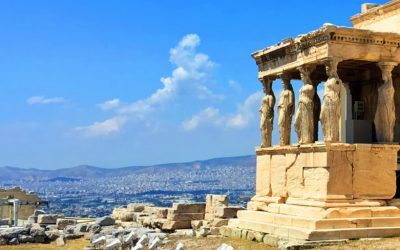 Less about history, dates, and architecture. We are more about people, place, and traveling at a slower pace. Our Blue Walk small group walking tours have a maximum of 12-14 guests. Our ArtWalk workshop vacations are based on Blue Walk itineraries with the addition of welcoming and inspiring art programs. Our talented and engaging artist-teachers take students of all levels through dreamed-of destinations. 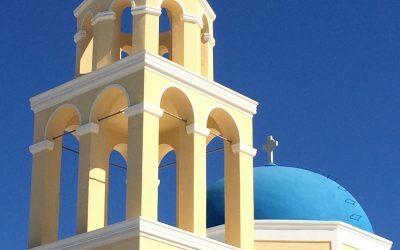 Most classes are on-site – sketch in a sun-soaked Italian piazza, paint the myriad of blues found looking over Greece’s Aegean Sea, capture the perfect pastry found in a Parisian cafe. Experience the place you are visiting! Still small group tours, ArtWalks are a great place to meet fellow travelers while cultivating your creative side and exploring the world. Your Blue Walk guide is there throughout to create a carefree vacation. First time European travelers and budding artists love the safe, supportive, and welcoming atmosphere found on our ArtWalks. A uniquely curated and creative art travel journal workshop with artist / teacher Pam Garrison. 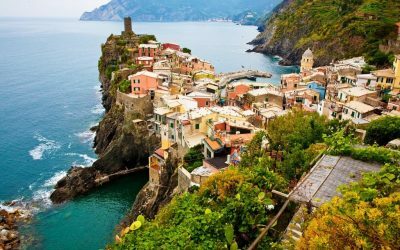 Wander Northern Italy: Cinque Terre, Lake Como, and more. April 2019. 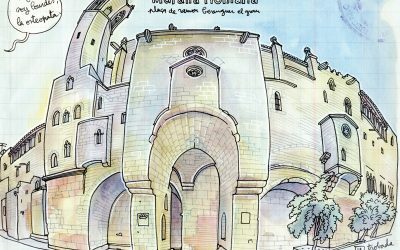 Oct 2019 and May 2020, join artist Lapin for his ArtWalk Spain sketchbook workshop in his home town of Barcelona and Costa Brava. Fully hosted by Blue Walk guides at select hotels. Laugh, meet new friends, come with us! 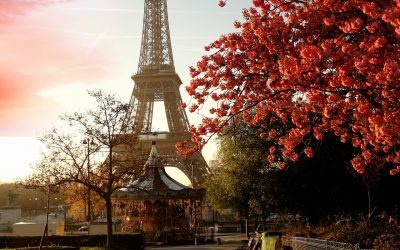 Sep 5-12, 2020 art workshop in Paris, France. Learn sketching, water color, ephemera collecting and more with Pam Garrison and Courtney Cerruti. Mary Beth Shaw invites you to this very special art journal workshop in Italy September 13-23, 2020. Create a multi media travel journal. 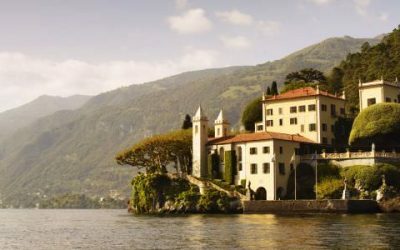 Visit Lake Como, Venice, Verona, Padua, Parma. Still not enough? Extend your ArtWalk for 3 nights on the Italian Riviera visiting Rapallo, Portofino, and Cinque Terre. Join our small group Spain walking vacation! Discover the culinary and art culture of beautiful Barcelona. 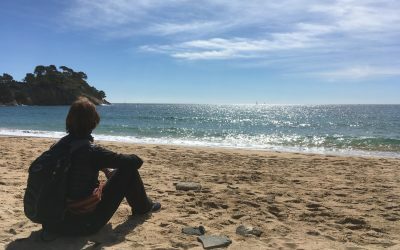 Then experience Costa Brava walks along wooded paths, country roads, and seaside paths. 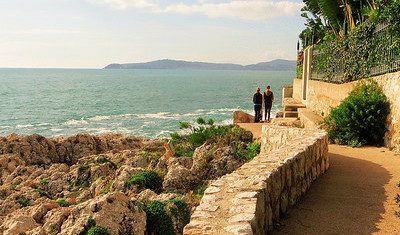 Walking on the coastal paths and strolling along scenic promenades is a great way to experience the authentic beauty of the Riviera. Discover Blue Walk France walking tours. 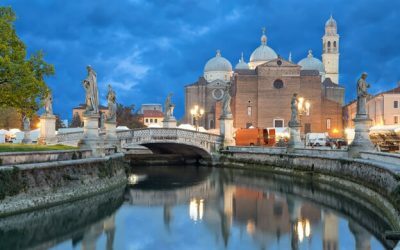 This Italy walking tour vacation is an idyllic combination for those who have seen the big cities of Italy, and/or want to do something a bit unique and very special. The Blue Walk runs private and custom vacations in addition to our advertised small group walking tours and packages. Below is a list of our publicly advertised tours. We hope you will join us! Contact us for more information. New dates being added so check back! (Or join our newsletter to be the first to learn about new releases and gain access to special rates). 2020 Blue Walk Small Group Walking Tours ! !MORE DATES COMING SOON!! 2020 ArtWalk Small Group Vacation Workshop Tours ! !MORE DATES COMING SOON! !